I used to think that Bandung was only famous for its shopping. But many years ago, when both me and the hubs arrived to discover the secrets of Java, I realized it was much more than just retail bargains. 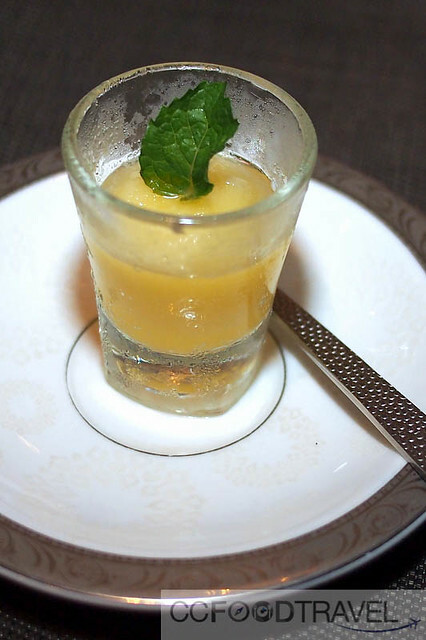 For we soon fell in love with the people, the land, and its cuisine. 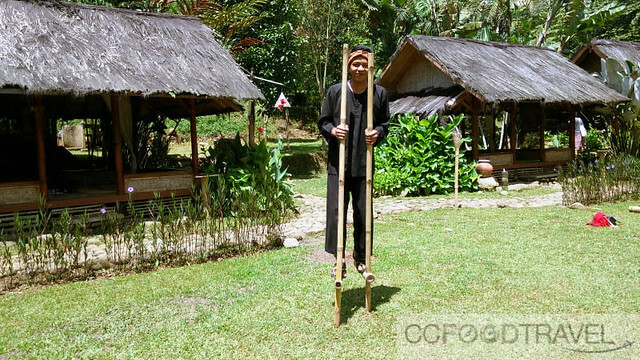 Java’s high volcanic peaks, hot springs and UNESCO heritage sites, were definitely a huge attraction which brought us to its shores in the first place. After all which stoic traveler could gaze upon Borobudur or the Prambanan Temples and not be moved? Very few I imagine. Now, returning to Bandung after several years, I was surprised to see that a lot, yet little had changed. It was still unspoiled to a certain degree, but you could see that a lot of resources had been pumped back into the city. All positive signs, I must say. Bandung itself is the capital of West Java in Indonesia also the country’s third largest city by population, probably 2.5 million now, or more. Located south east of Jakarta, Bandung has cooler temperatures year-round and I always love the way I hardly break a sweat here, especially in the evenings. The city lies on a river basin surrounded by volcanic mountains and this makes it, one of the most fertile and photogenic places to visit. Ah.. only 5 days (two of which were spent traveling), meant really not much time to discover everything we wanted to. Never the less, I think we did quite well for 3 full days of activities. So, if you ever visit Bandung with a couple of days on your hands, here are some tips on what you might want to do. 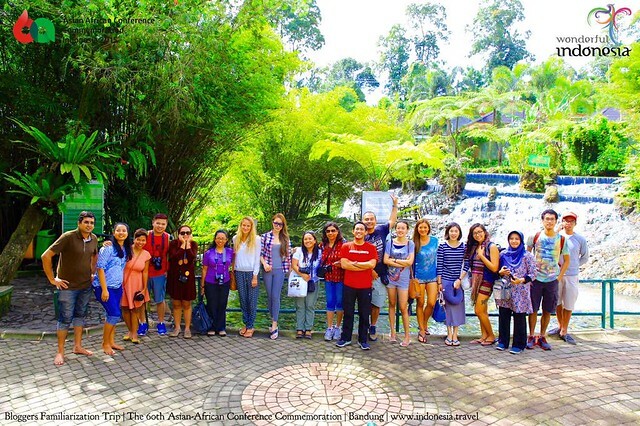 Here are our Top 10 Things to do in Bandung in 3 days! There were two which I managed to check out this trip. One was Kawah Ratu and the other Kawah Putih. One of these had a rather interesting folklore/ legend, about a mother who fell in love with her one son. Kawah Ratu – aka Queen Crater. Of course there’s a lady in the legend there somewhere, as you might have guessed. 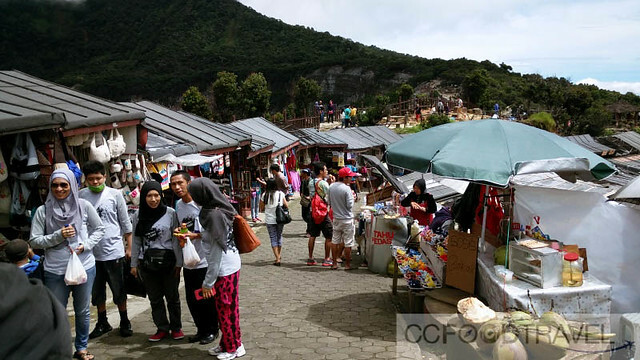 Located on Mount Tangkuban Perahu in Lembang, near Bandung, West Java this crater is best known for the Sundanese legend of Sangkuriang. 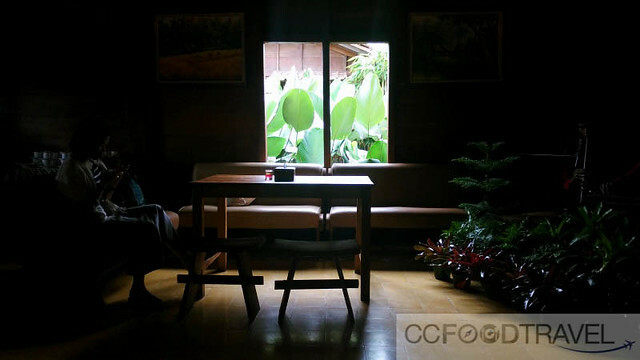 This young man fails to keep his promise to make a boat and a lake in a day, which was the task given to him by his own mother, Dayang Sumbi, whom he wanted to marry. He fails of course, and as the sun rises, he kicks the boat and it lands upside down. 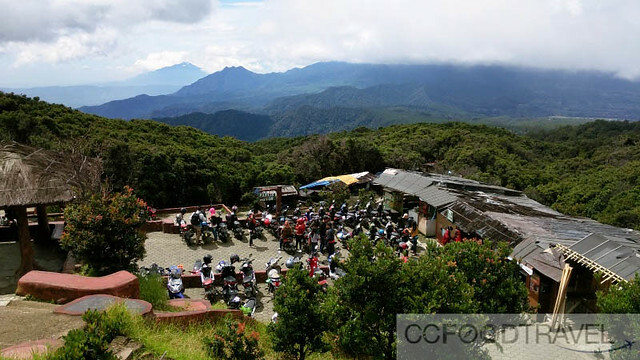 Till today, you will see that Mount Tangkuban Perahu is shaped as an inverted ship and is still an active volcano 30 kilometers north of Bandung. 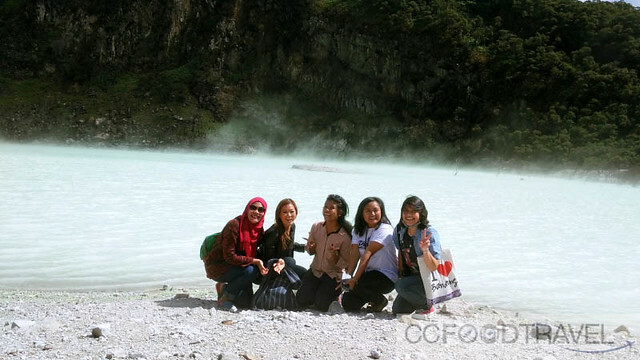 The cool weather and less sulphur fumes than Kawah Putih, make this place a bit of a tourist attraction. Moving along, we travel to Ciwidey. 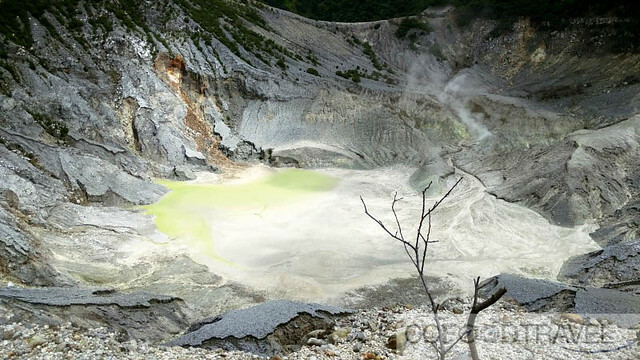 Kawah Putih (White Crater) is one of the two craters which make up Mount Patuha in West Java Indonesia. According to historical records, Patuha volcano had erupted in the tenth century, causing a terrible crater next to the top of the West. 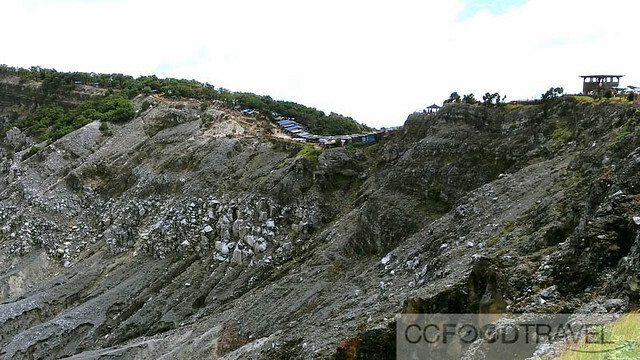 In the twelfth century, the crater on the left also erupted, which then formed a beautiful lake, Kawah Putih. If you can see (or smell) past the sulfur fumes, this place is just gorgeous! This was my favorite stop all trip and had some of the best photo moments on earth. The natural scenery around the white crater is gorgeous with greenish-white water caused by the sulfur content, contrasting with the limestone ridges that surrounds the lake. 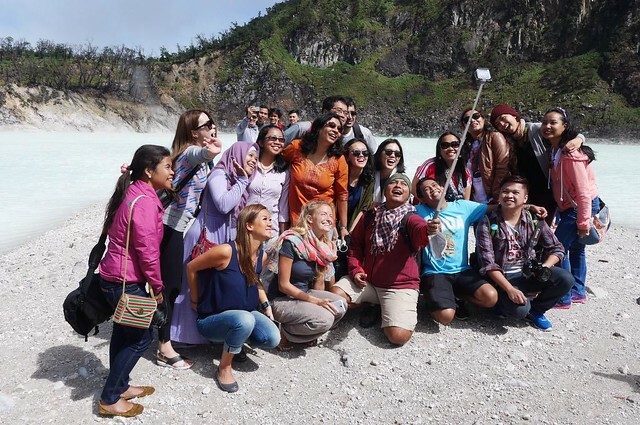 Me and the cool folks from Tourism Indonesia.. we had a blast! Rather reluctantly we left Kawah Putih, as we could have stayed on for hours, just taking heaps of photos. I think my lungs might have given way by then though. 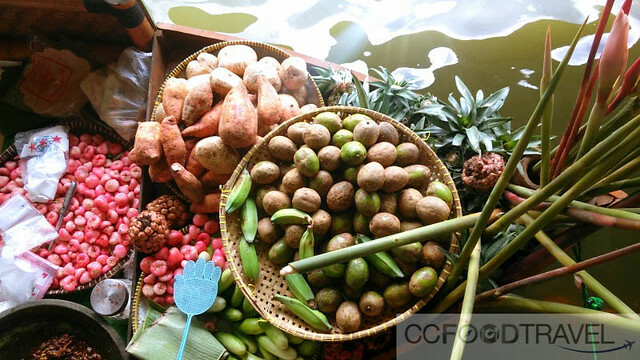 Now if you’ve ever been to the floating market in Bangkok, Thailand, you will be surprised by what you see at the Floating market in Bandung. 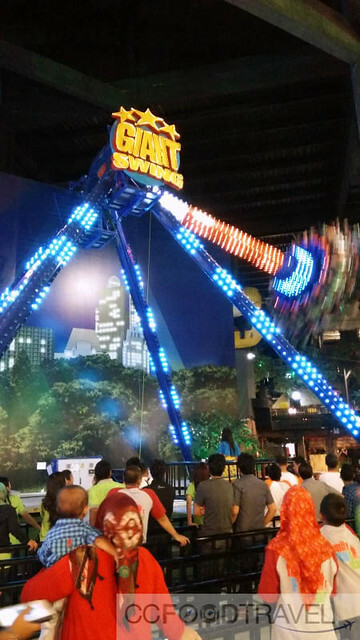 It’s a totally different experience, but it is still pretty fun. 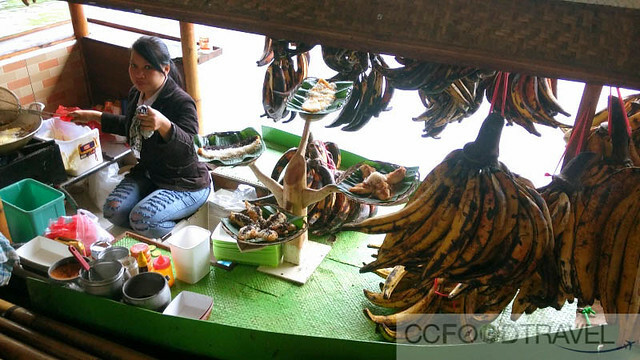 The boats (or sampan) serving food, are mainly hitched to a rectangular dock, so folks just walk around on the dock, from boat to boat, buying whatever snacks catch their fancy. 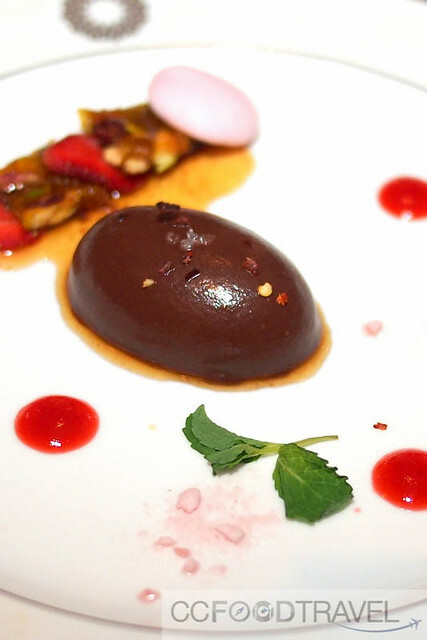 If you have a sweet tooth, this is the best place to sample desserts! I really maxed out on Banana with chocolate and condensed milk sprinkled all over it. 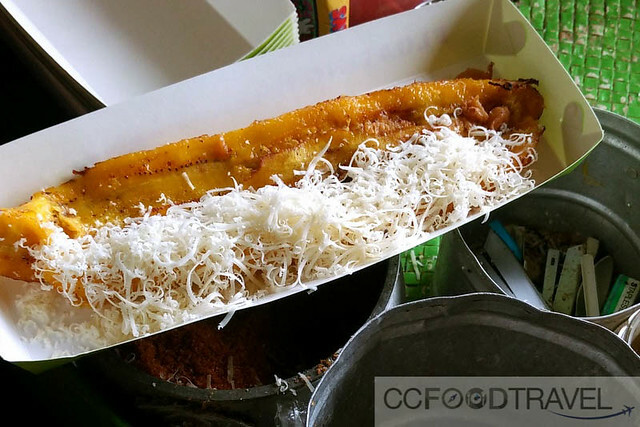 The best ones are either Pisang Sangkuriang or Pisang Tanduk (the hugest bananas I’d ever seen). 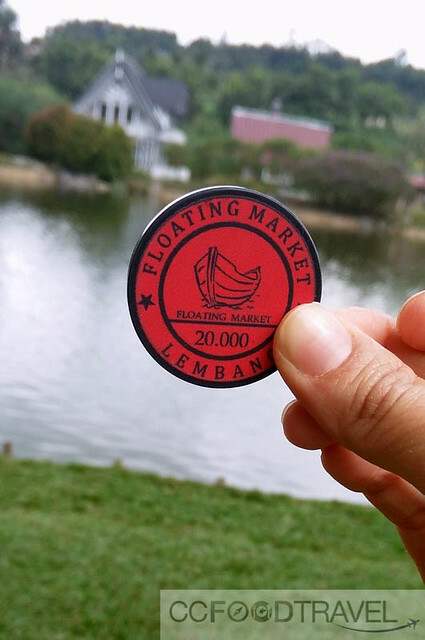 The Floating Market Lembang is cash free. So you need to exchange your cash for coins at the door. 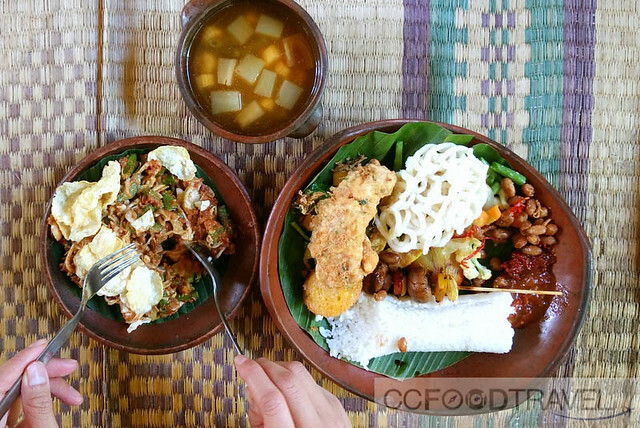 There are restaurants offering Indonesian traditional food or you can opt to snack on the offerings of half a dozen small boats lined up along artificial lake. I did both! Ate at a restaurant plus snacked at the floating market. The coins can’t be refunded so change what you need, and not more. 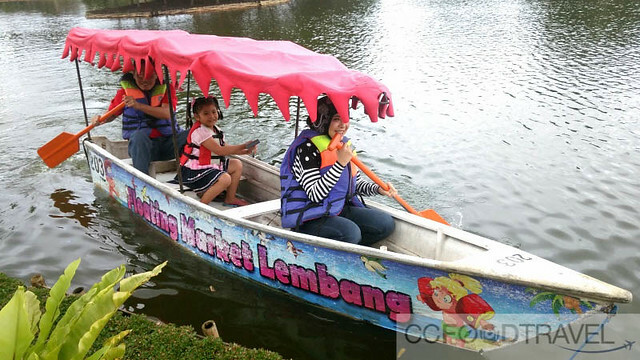 We noticed that the paddle boats were popular with families and kids. I love theme parks as it makes me feel like a kid again. 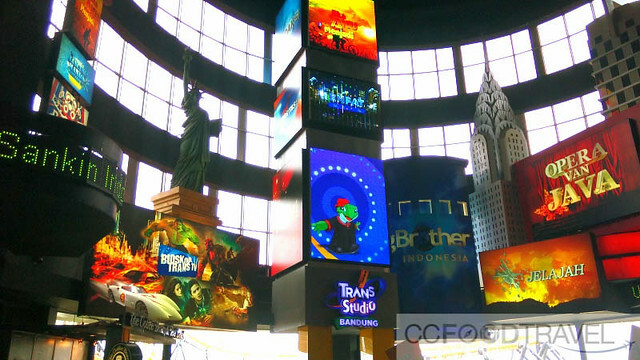 And the TSTP is the second indoor theme park in Indonesia after Makassar. The park has 20 rides and a variety of Broadway shows, performances and plenty of photo opportunities with your favorite clown or vampire. 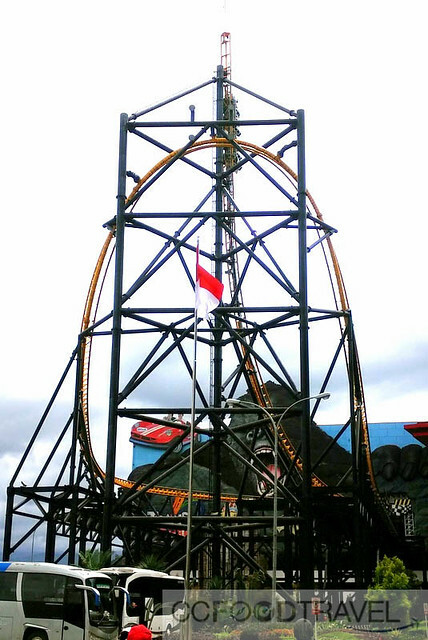 I just homed in on all the trill rides such as the Roller coaster, Some sort of Viking ride and the Vertical Drop. All pretty toned down from Universal Studio so you are certain kids can ride them (based on a height minimum), without really going for the full throttle scary ride. It’s a nice induction into themed parks as it were. 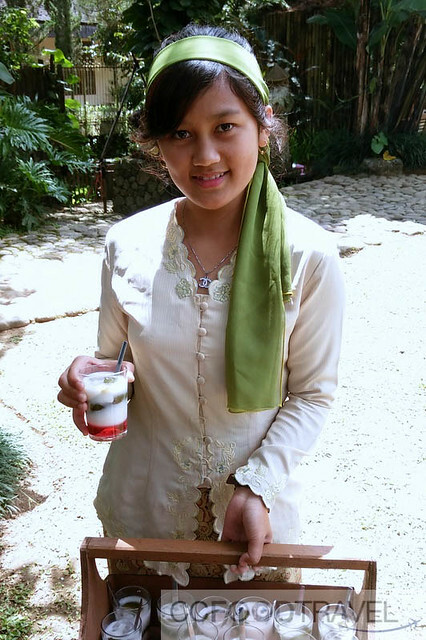 Bandung is the best place to try Sundanese food. I mean, the restaurants are everywhere. 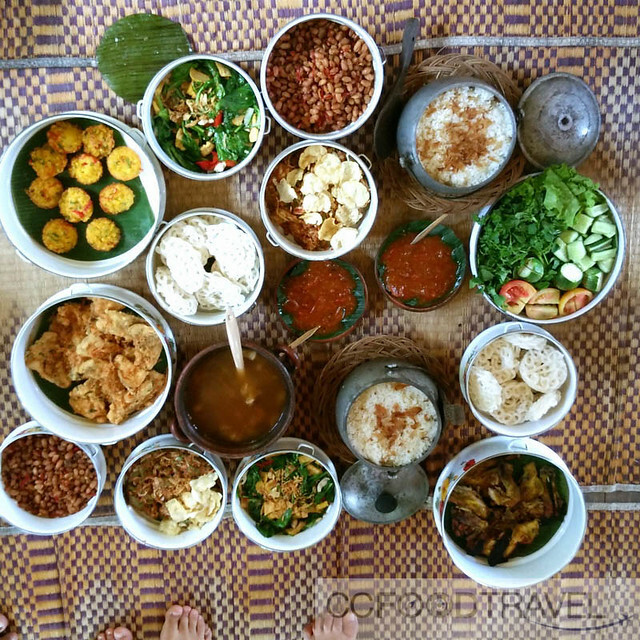 This colorful and vibrant cuisine is the cuisine of the Sundanese people of West Java, Indonesia. 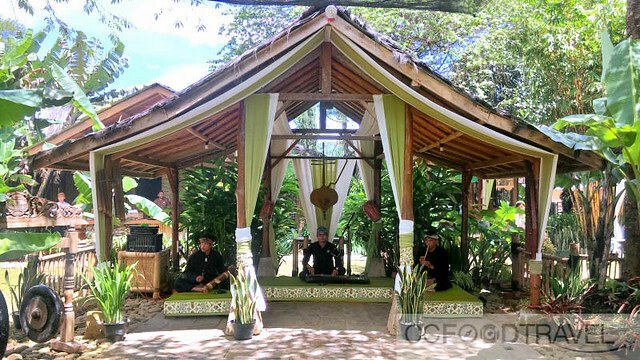 Sindang Reret has the ambiance of a cultural village, and I loved the quaint kampung style houses as well as men on stilts that greeted us.. It is one of the most popular foods in Indonesia and you’ve probably tried their famous lalab eaten with sambal and also karedok i.e. I’ve eaten this fresh raw vegetable dish in the past and not even realized that I had Sundanese, until someone pointed it out to me. 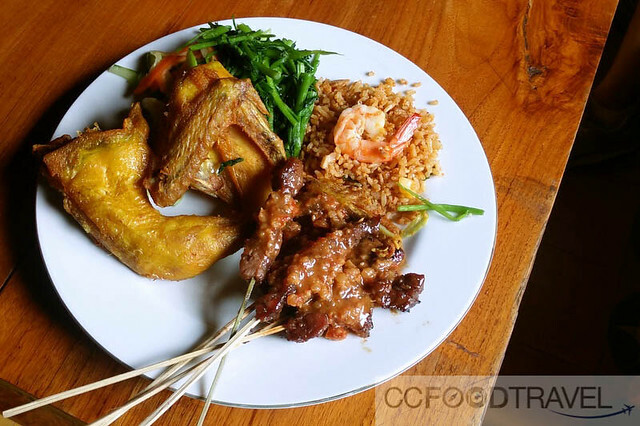 Sundanese cuisine is tart and spicy, but it can also be mild .. but the best thing about is is the play on sweet-savory that I love. Oh and the abundance of raw veges (Malaysians call it Ulam). Fresh water fishes such as carp, is also a huge favorite with the Sundanese. I like it, but sometimes the fish comes out too black from BBQing. I rather like my fish steamed actually, however, the flavors are still pretty awesome. 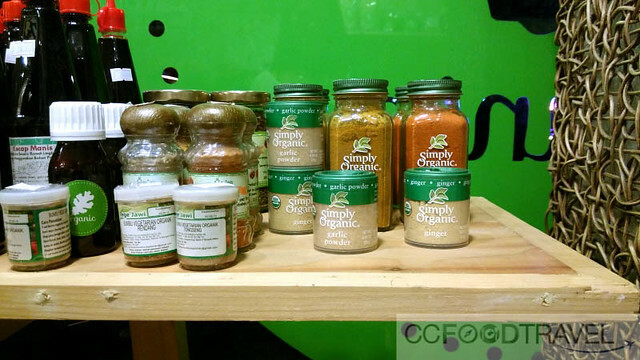 Sambal terasi is the most important and the most common condiment in Sundanese cuisine, and eaten together with lalab or fried tofu and tempeh. 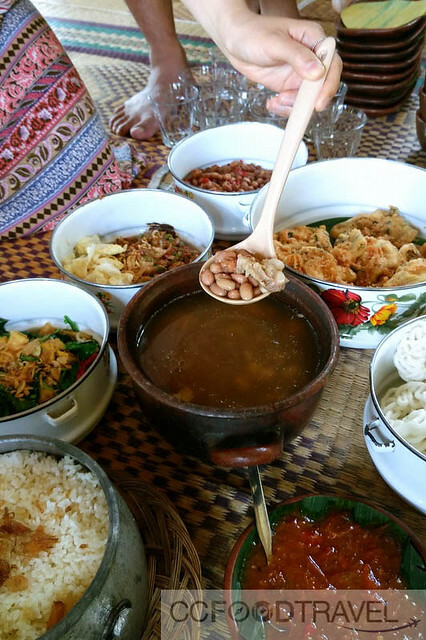 Sayur Asem vegetable tamarind soup is probably the most popular vegetable soup dish in Sundanese cuisine. Another popular soup is Soto Bandung, a soup of beef and daikon radish, and mie kocok noodle soup with beef meat and kikil. 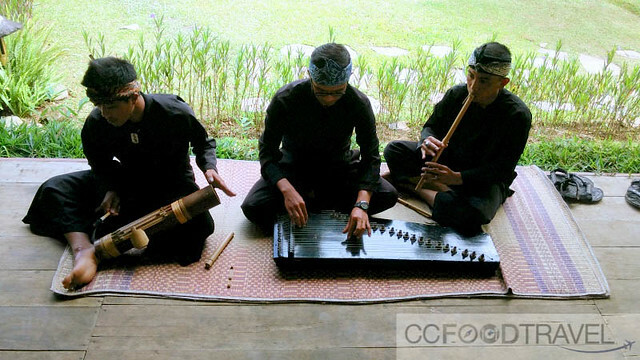 The entertainment with traditional instruments at Sindang Reret Ciwidey was pretty awesome.. I was in post lunch coma by the time they finished playing. 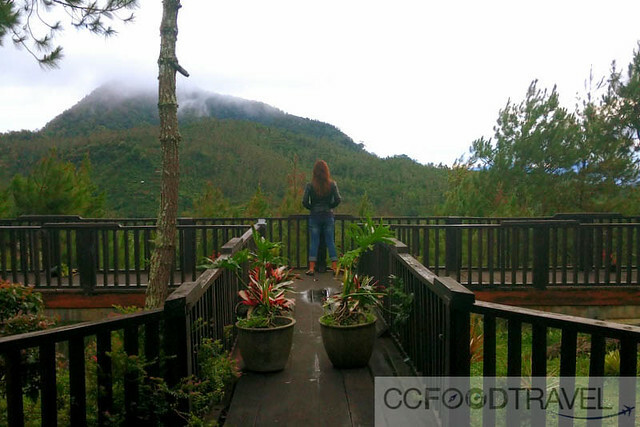 Managed by the Forestry Commission, this place in Alam Endah is geared towards folks as well as students seeking a green, and ‘close to nature’ experience. 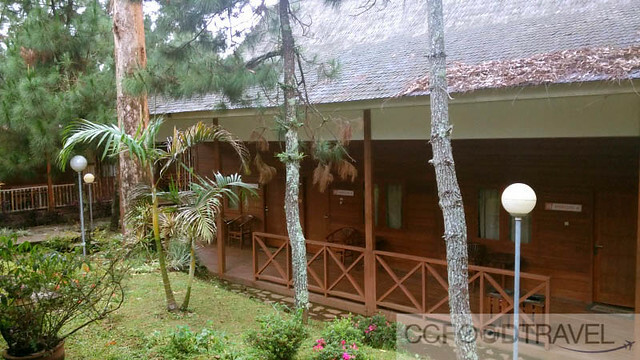 Its 12 wooden cabins are clean and comfortable and there’s a canteen for inexpensive meals. There is a pool with hot spring water which is really great to warm up in before bed in the evenings. 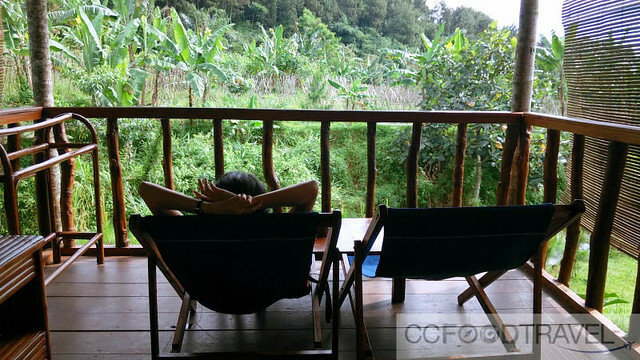 The Patuha Resort is pretty famous amongst locals and tourists in the South Of Bandung, and while not 5 star, it’s actually great for flashpackers who don’t mind roughing it a little bit. But I have to say you do get a massive room, at affordable prices, plus ensuite bathroom with shower and super hot water.. and Oh, the spectacular view in the mornings is worth the stay! The hotel provides towels, soap and drinking water. 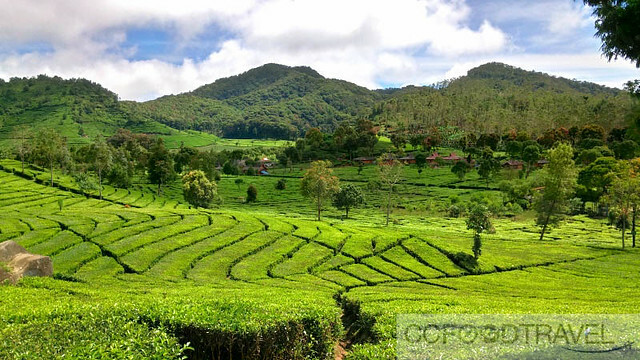 There are numerous tea plantations in Bandung. 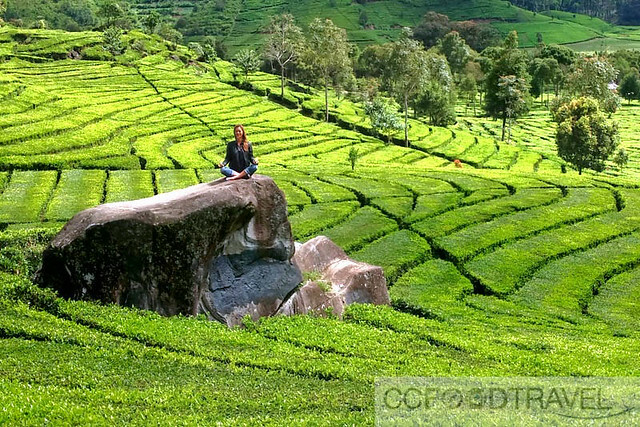 Around 40km from Bandung is basically one big tea estate surrounded by lush green hills. 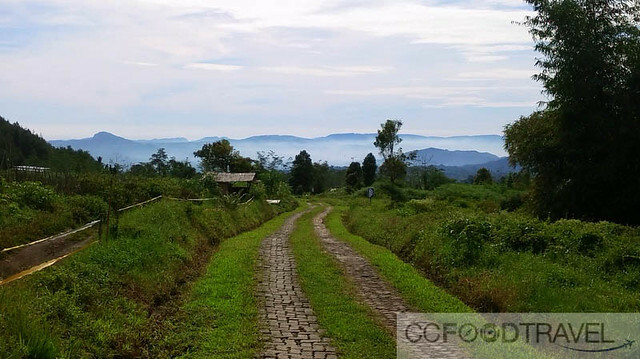 The Dutch colonials first established tea plantations around the mountains in the eighteenth century, and a road was constructed to connect the plantation area to the capital. 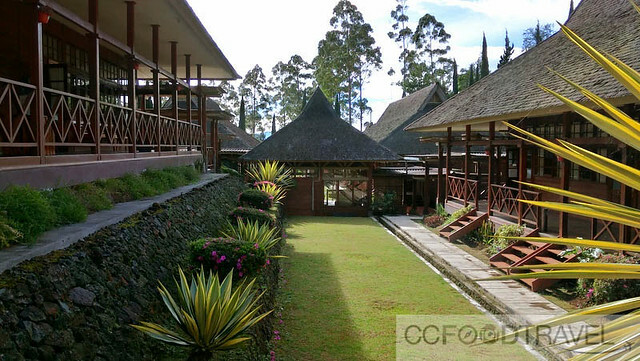 In 1906 Bandung gradually developed itself into a resort city for plantation owners. Luxurious hotels, restaurants, cafes and European boutiques were opened, hence the city was nicknamed, ‘The Paris of Java’. We drove past Walini tea plantation located near Kawah Putih, on the way to our lunch destination, and just had to stop for a photo moment. Apart from producing tea as an industry, this plantation is unique as it has is agrotourism certified, and visitors can have tea walks, horse rides, and other activities around the grounds of the plantation. 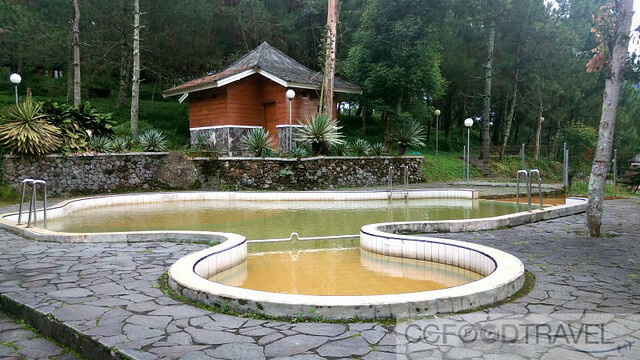 Right in the middle of this plantation, there is also a natural hot water pool where visitors can swim or have a relaxing hot bath in private bathrooms. 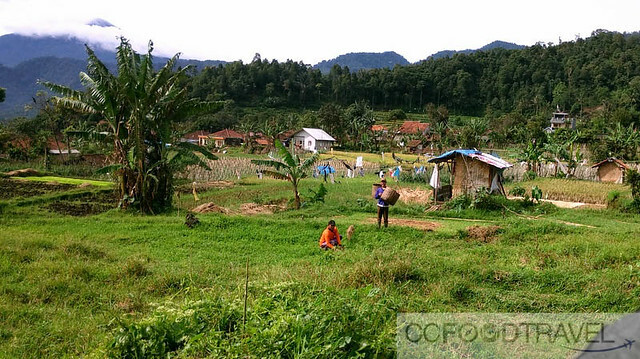 The other tea plantations include Rancabali, located in Ciwidey, southwest of Bandung, whilst Malabar is further east (via different access road). 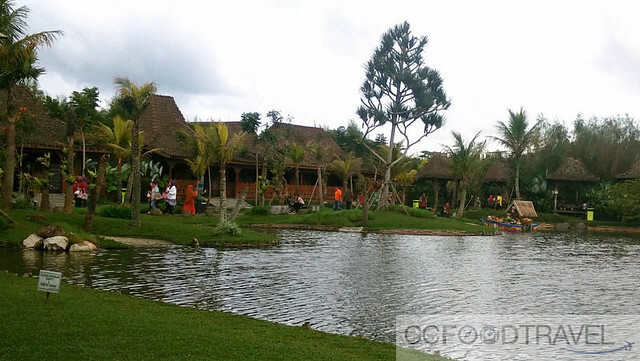 Attractions such as Kawah Putih (White Crater), Patenggang Lake, Walini Hot Springs and Deer farm at Ranca Upas are in this area too. I like Bandung because you can shop and shop and not break a sweat. The weather is superbly cool. While the clothes here are not exactly the latest in fashion, or haute couture, these factory outlets are still the best place to try and pick up bargains. 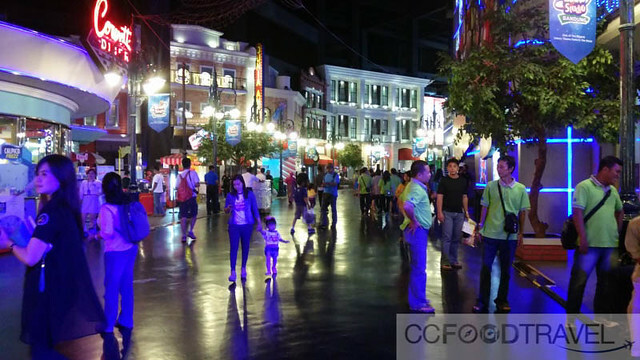 Three locations have the most factory outlets- Dago, Jalan Setiabudi and Jalan Riau. We noted brands such as Zara, Gap Dorothy Perkins, but we weren’t sure if they were genuine of fake. Some seemed a little suspect actually. But I guess at with rock bottom prices, one can’t really complain! One thing though, you really need time to sift through all the clothes to find the best ones, so if you only have a couple of hours, that won’t quite cut it. 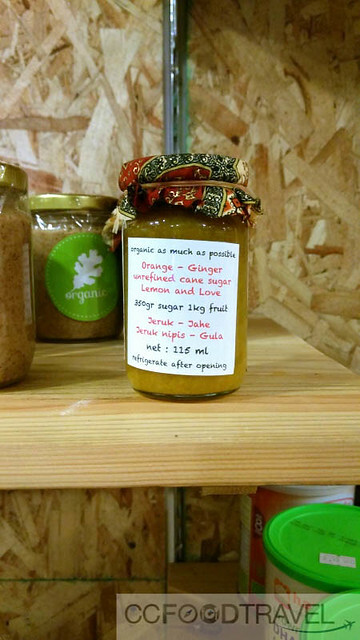 In the end, we ended up browsing organic stores instead..
Loads of interesting locally made jams etc, that were certified organic.. a pretty nifty shop. 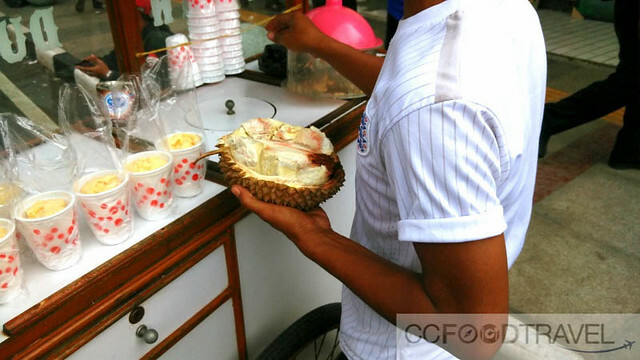 Once you tire of shopping, you can stop for a snack and I recommend the durian ice cream shops sold at numerous bakso along the street. On our final night in Bandung, we checked into the Trans Royal Hotel. 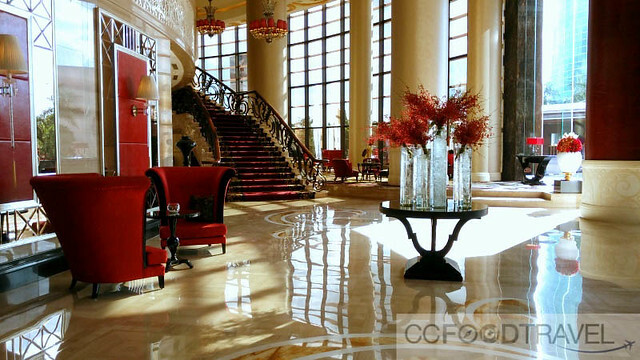 Being a luxury traveler, who is also comfortable with the occasional flash packing, believe me when I said, I eyes grew wide, when I saw this hotel. 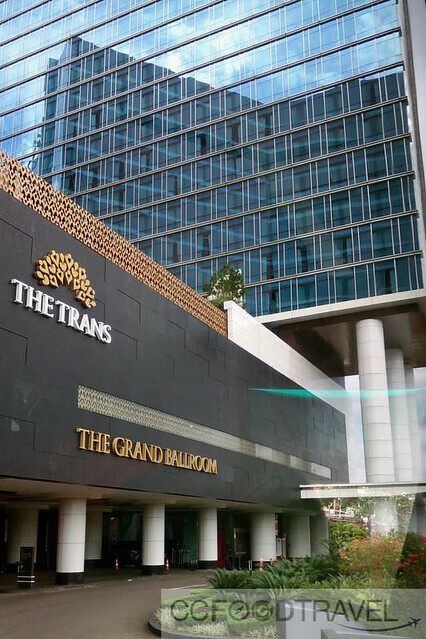 The Trans Luxury Hotel Bandung, definitely ranks up there as a Five-star luxury hotel with all the comforts to boot. 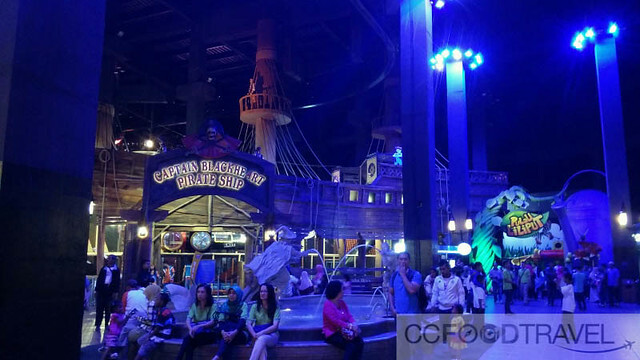 The hotel features a spa and outdoor swimming pool, and is strategically located next to the Trans Studio Themed park, so you can leave your husband and kids there, and go shopping on your own if you like. Free Wi-Fi is provided throughout the building which is a big plus. The rooms of course have all the 5 star fittings and equipment. Guests can work out in the fitness center or head for a relaxing massage to unwind. 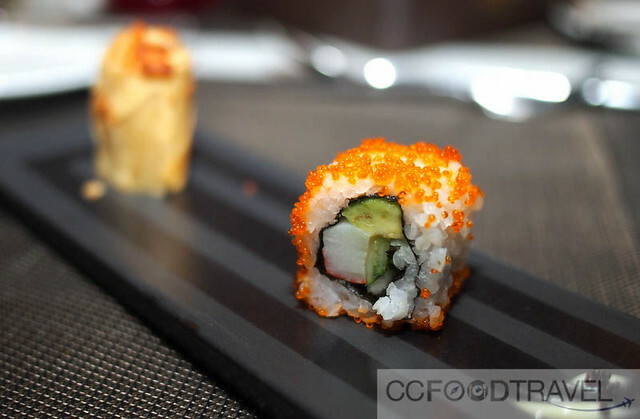 A selection of Asian and western dishes are served in the hotel’s restaurant. 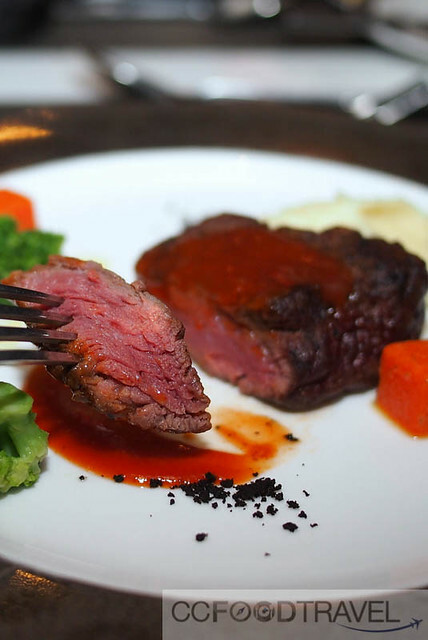 The hotel also has a restaurant serving international dishes. 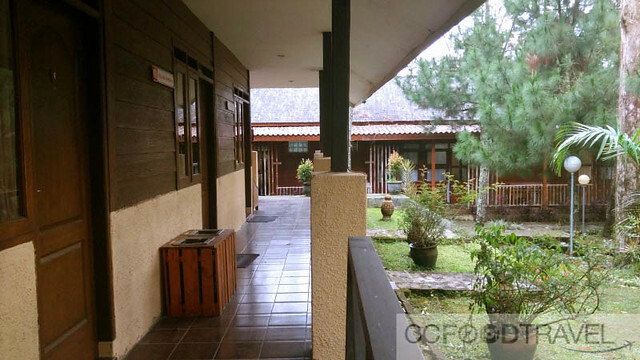 One word of caution, if you plan to stay at this hotel on the last night, make sure you fly in and out of Bandung, as flying from Jakarta airport might mean a 5 hour start as the traffic is horrendously unpredictable. 10. Fine Dine amongst the Stars..
Not movie stars (though I am sure many have patroned this restaurant) but rather the stars in the sky. At the top most level of Trans Royal Hotel is a sprawling panorama of city lights, vying for the glamour of the light from the stars in the sky! It is so beautiful. 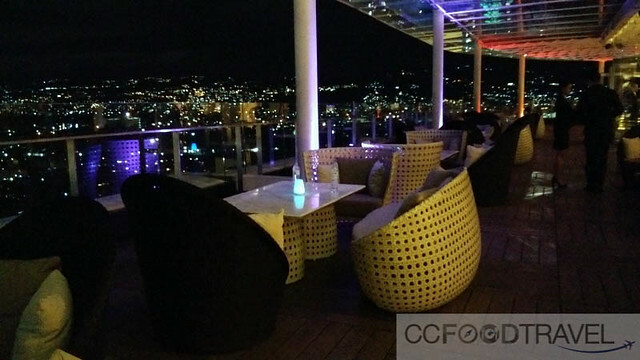 When you dine here, opt for out door dining and really appreciate the birds eye view of Bandung city from above. 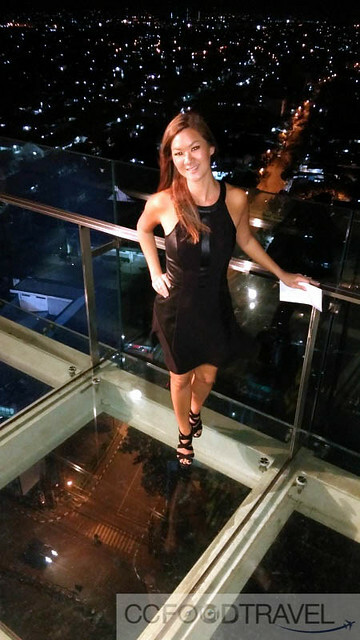 Don’t forget to walk on their glass roof so that you experience the thrill of being suspended in mid-air (almost) – I had some vertigo moments, but still it made for a rather cool photo moment! The Contemporary Asian fusion cuisine here was good. 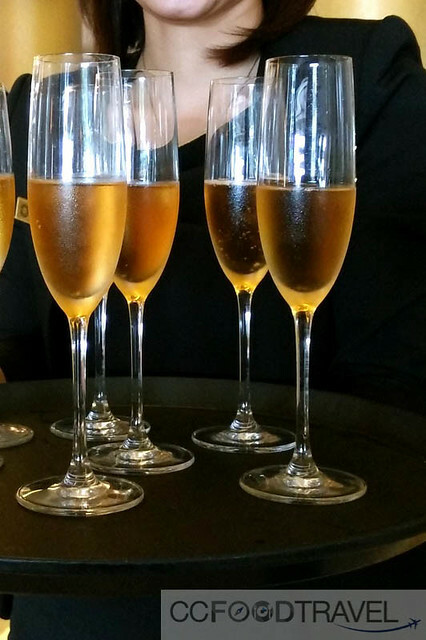 Whilst there was no wine pairing, the food was of an acceptable standard as was the service. I would return without hesitation. 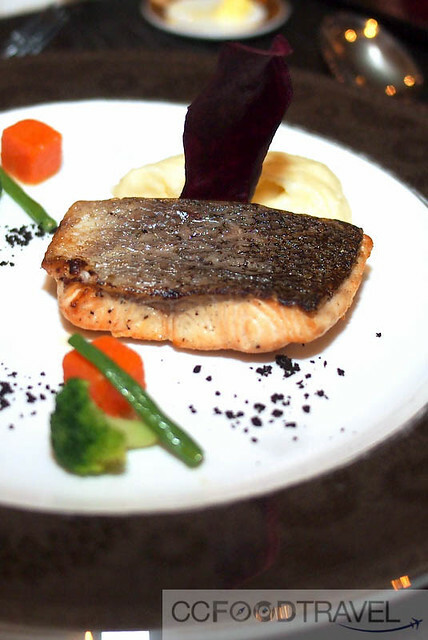 A choice of salmon or tenderloin..
Dessert ended dinner on a high note! Then it was time to say goodbye.. 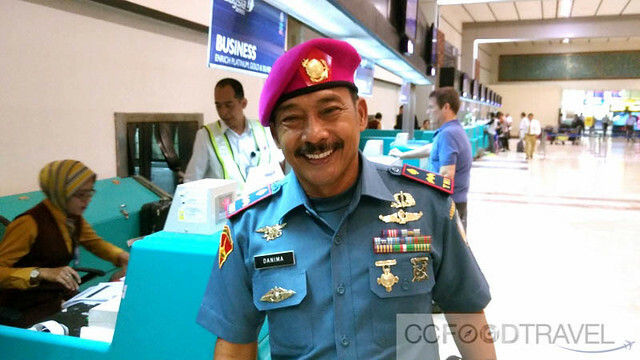 Upon arrival and departure, we were met by Lieutenant Danima of the Indonesian Marines who’s been in the Navy for 26 years now – he helped us clear customs at top speed – super impressed. A big thank you to Tourism Indonesia for such and amazing time in Bandung. You have opened my eyes to another side of your beautiful country that I am eager to return to explore again and again! Ok.. more credits. 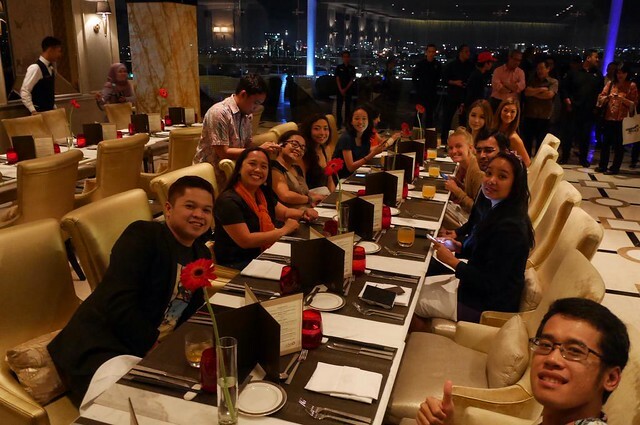 Had a blast of a time, with fellow bloggers from Indonesia as well as from abroad. Thanks Sutiknyo of lostpacker.com for the following photos! Lovely to meet Indonesian bloggers, Mumun of Indohoy, Arif Rahman of backpackstory, Sutiknyo of lostpacker, Fahmi of catperku, Adis of Whateverbackpacker. Also bloggers from afar.. Dawn of dawnyang, Stephanie of wersolesisters, Ju Won (@jjuu on IG), Nisha of lemonicks, Rachel of hippie_inheels, Yoshke of thepoortraveler, Nila of blueladyblog and Aniruth. Hope we will all meet on different shores again soon, sometime, not in the too distant future! 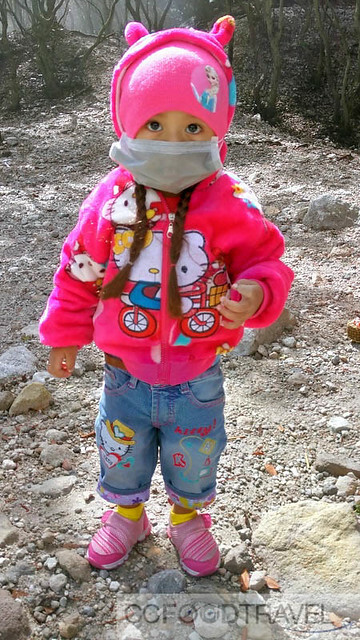 Day 1: what you need to know to survive the manic roads system in Java! Fun fun! I want to go back some day! 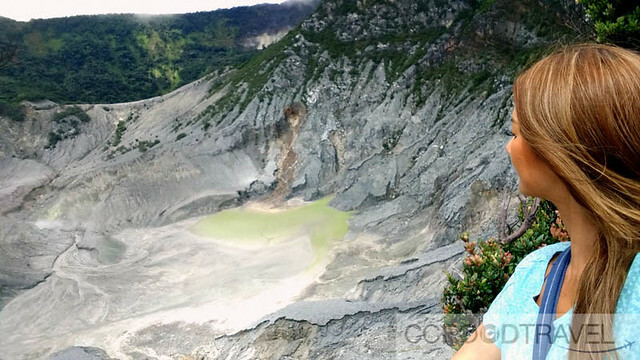 I didn’t realize it was queen crater (kawah ratu), I thought the name of the mountain was the crater… woops! Awesome Ciki! I’ve always wanted to go and experience Borobudur. Now I know there’s more to try than just the temples. Thanks! Love your blog still! Thanks Sean.. hope it was useful!